In addition to and integrated with Pipeline management, GovTribe offers a complete Task management system. 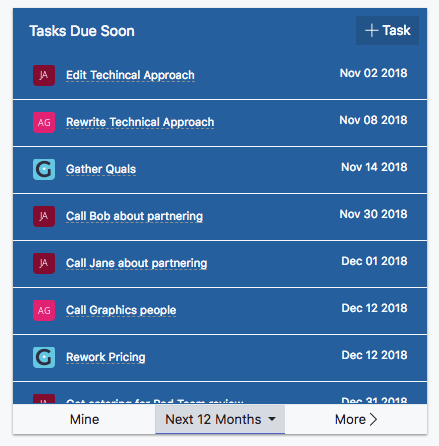 Tasks can be created within any Pursuit, assigned to a team member, and tracked against due dates. Any user can also manage their own Tasks across the entire account through the Task viewer. This video provides a short demonstration of how to create, assign, manage, and complete tasks on GovTribe. A written description with screenshots is below. 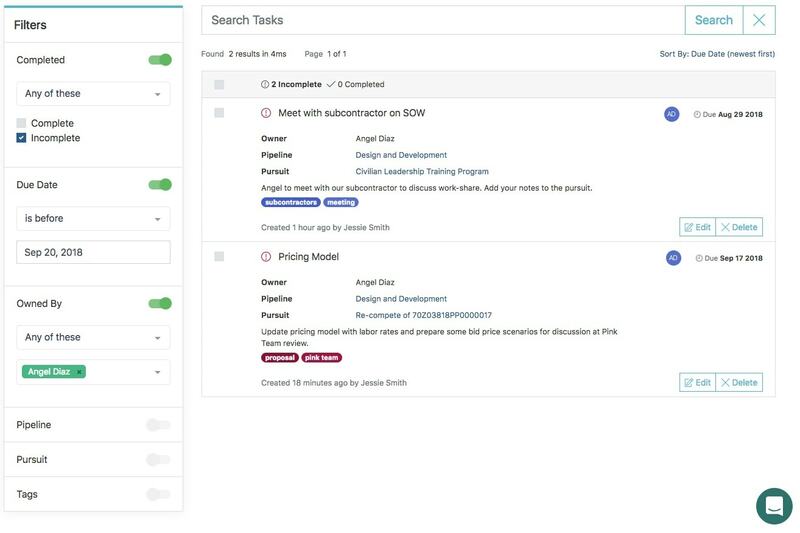 To create a new task, go to the Tasks tab of any Pursuit in any of your Pipelines. Then click the Add Task button - the button with the + symbol. Fill out all fields in the pop-up modal that appears. The Name, Due Date, and Owner (the person responsible for completing the task) are required. You can also add a description and tags, which are useful when searching or filtering Tasks. After you click OK, you will see the task appear under the Tasks tab of the Pursuit. You can edit the task using the Edit button. To mark the task as complete, select it by clicking the check box on the left side of the Task box, and then select Complete from the Mark As list on the right. 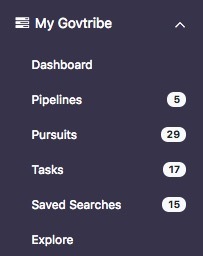 In addition to viewing Tasks in the context of the Pursuit with which the are associated, you can also view and search all Tasks across all Pipelines and Pursuits from the Tasks menu item under My GovTribe. From the Tasks search page you are able to search all Tasks by keyword. 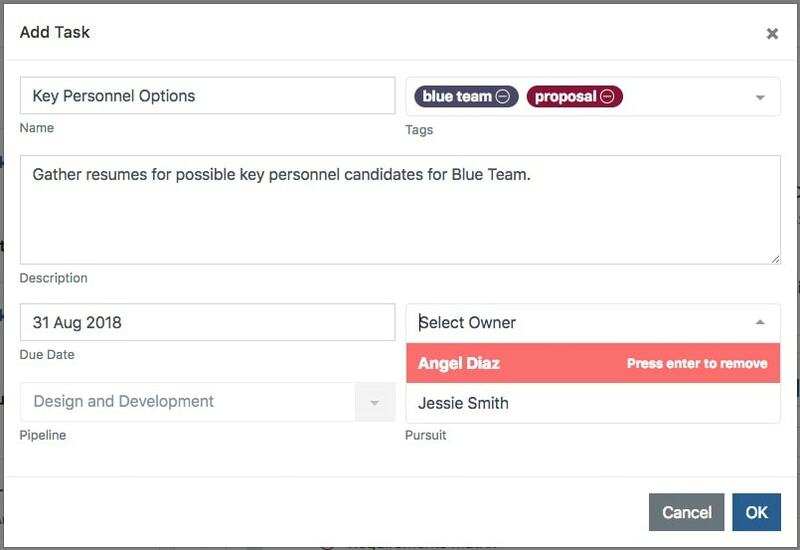 You can also filter tasks by their completion status, by due date, by Pipeline, by the Task owner, or using tags. Your Dashboard on GovTribe has a number of boxes (or widgets) that visualize key pieces of information about your account content or your company's contract history.